A fabulous FREE set of printable chalkboards to use on the last day of school! The last day of school can be an emotional one for parents – your baby is growing up and moving on to a new grade, or perhaps even college! 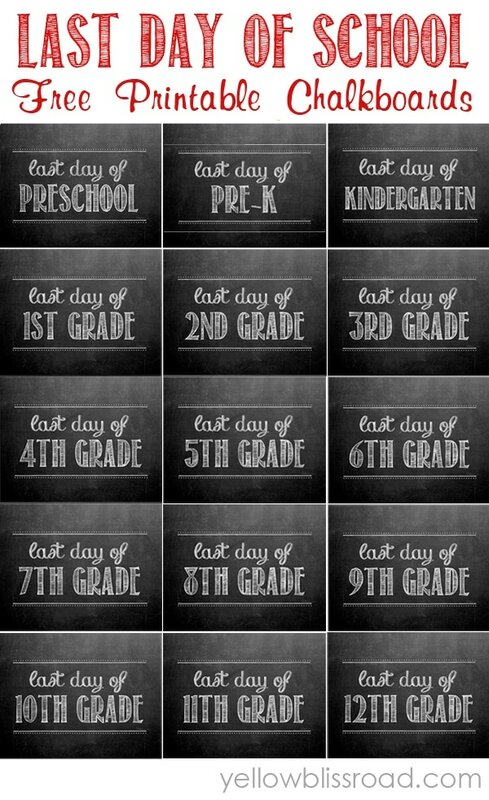 Be sure to document the last day of each year with my free printable last day of school chalkboards so you can relive those memories, and have fun comparing them each year. I cannot believe it’s the end of another school year already, but even more so this year because it means that my little guy is off to Kindergarten in the fall. I just can’t believe the time has come already but he is so excited for it! His preschool graduation is in two weeks and I know that I’m DEFINITELY not ready for that…even if I did offer excitedly to make 100 cupcakes for the event! This is the last year of preschool for our family. Next year both of my kids will be in elementary school, and I’m not sure I’m ready for that – but I’ll have these adorable photo ops to help us commemorate the occasion! Be sure to hop over and save the First Day of School Printables too! 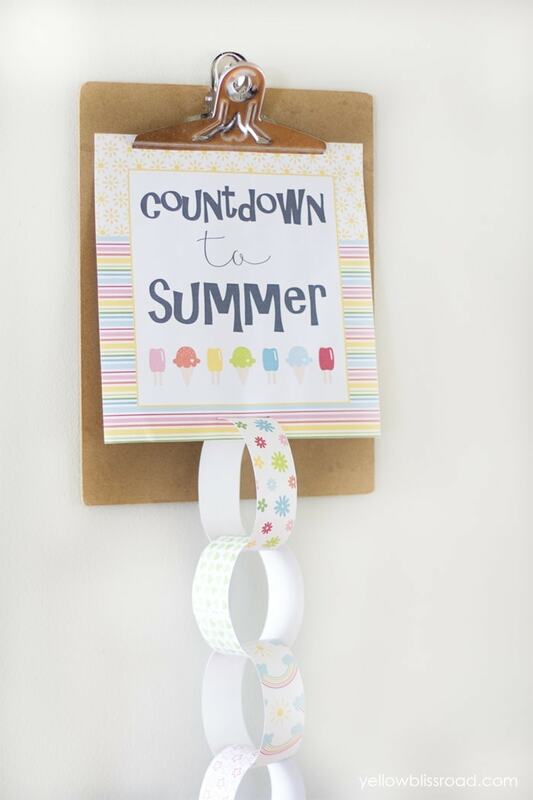 Don’t forget to grab these printables and ideas for the Last Day of School, too! 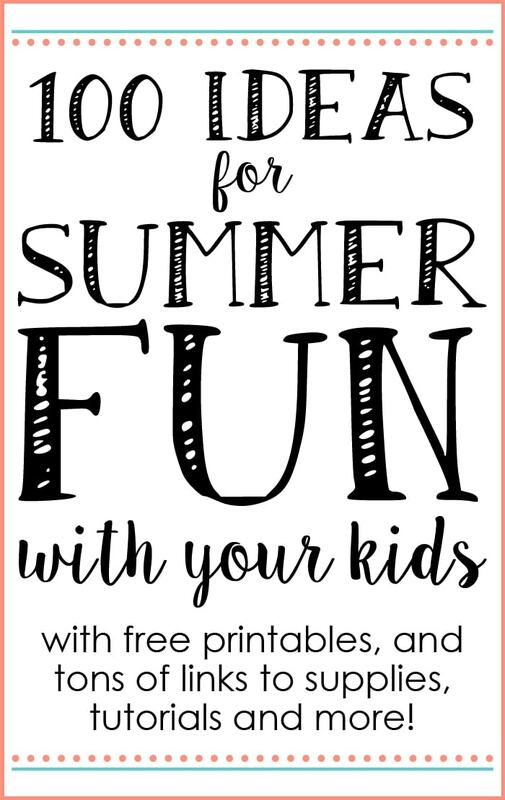 For all of the free printables on the site, go here. A friend sent me your site and I just love it! Thank you for a wonderful site! Thank you for this beautiful, wonderful resource! I love these printables! For some reason I can download the Last Day ones with no problem, but I am unable to access the First Day ones. Any tricks? HI! I love these chalkboard printables and have been using them for my children for the last few years. We have recently moved to Australia and I’d love to continue using them….there’s just one problem…..there is a grade called “Prep”. Any chance you could make one that says First day of Prep and one that says Last day of Prep ??? Thanks! I love the frame! What size is it, and where can I find it? I think I got it at Michaels, but that would be at least 8 years ago. It was actually a silver frame and I painted it white. I have used your printables every year since my son was in preschool. I can not get the first day chalk sign for 4th grade to download. Any suggestions? 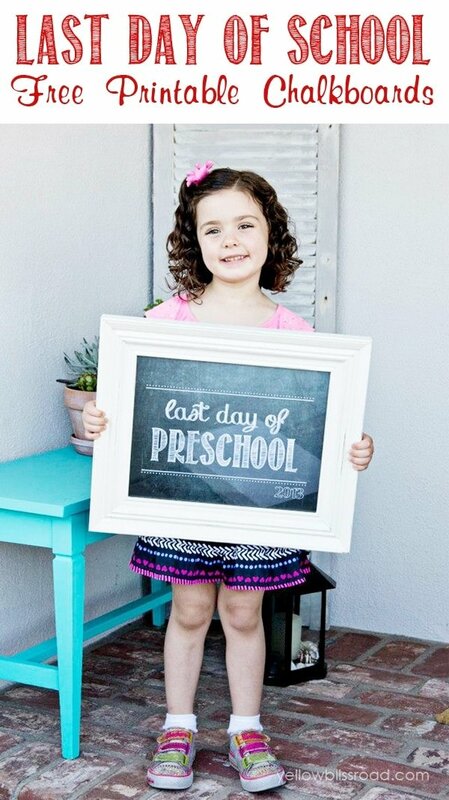 What size print is in the photo provided above with your daughter holding ‘Last Day of Preschool’? Thanks. 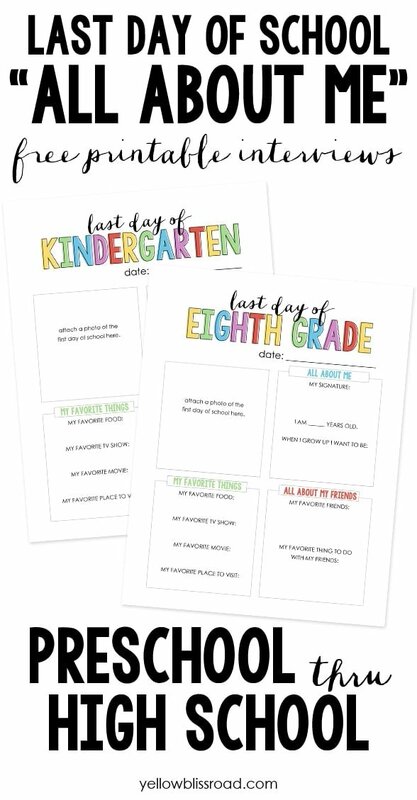 . .
Do you happen to make the same printables with “last day”? I LOVE these! They are adorable. I think I’ll look for a big white frame to put them in. 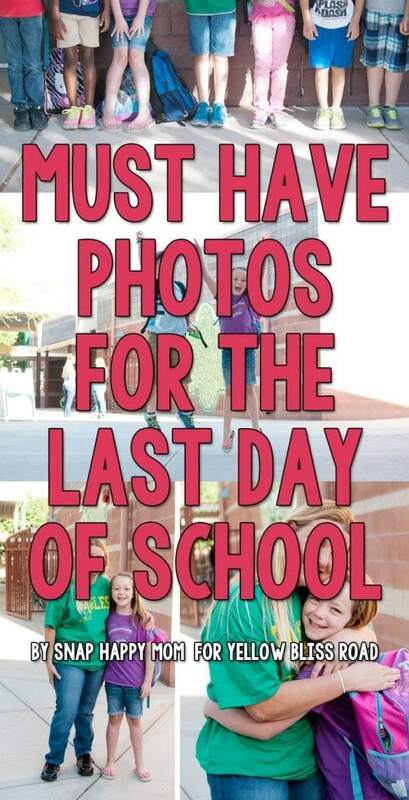 Hi Kristin – was wondering if you have last/first day of school with the year printed on them? Looking for 2016 – 2017. Thanks much! No, I’m sorry, I don’t put the year on any of the school year printables so they can be used year after year. Kristin – Thank you so much for your work and this website. It’s humbling that someone creative like you makes resources like these “first day” and “last day” signs available for over-worked moms (like me) who strive to sprinkle a bit of creativity on their childrens’ lives….but moms like me who rarely have the time to create such amazing pieces on their own. You could charge for your creativity, but you don’t. You help fill in the gap for so many of us. SO…..from one mom to another….THANK YOU! Your chalkboard signs are darling and they will be with my children for the next 12 years!! AJ, your kind words mean so much! Thank you, and enjoy the signs and these special moments with your precious babies. I’m having trouble downloading the first day of kindergarten printable, it’s saying the file is not safe to download? I’m not very computer savvy these days, is there another way I can get it? It’s the only one that isn’t working for me! How is my baby already done with second grade? (insert me sobbing here!) Thanks for sharing your signs…they will make for an adorable comparison between the first day and the last! Happy Summer! Hi, I am probably being thick, but I have previously downloaded all of the first day files as jpegs and now I am trying to download the last day of school files and they will only download as pdfs? Am I doing something wrong? I’m not able to print a PDF at say walgreens. I’m sure it’s just me being stupid, but I’ve been working on this for almost an hour and can’t figure it out. Is there a link to jpegs? Thanks! I love your ideas! The last day interview sheets are great. Have you considered doing them in an Australian format? I would love to use them but I can’t as we have different spelling for ‘favourite’. Hi, could I possibly get the last day of 10th grade file? It is the only one that is not working for me. Thank you! No, they are still there. Which printables are you referring to? You could do a search using the search bar or click the “freebies” link in the top menu bar. No I don’t have a generic sign, but that’s a great idea. Maybe I will add them for next year! For the year, I added that in photoshop to mine. I didn’t add the year to these because I wanted them to be able to be used any time. Thank you so much for these printable! I just discovered your site and I love it!! Can’t wait to try some of your recipes. I just wanted to say that I love these signs! I used them in the fall for the first day of school and tomorrow I’ll be using them for the last day. Thanks so much! Can’t wait to see the side by side photos!